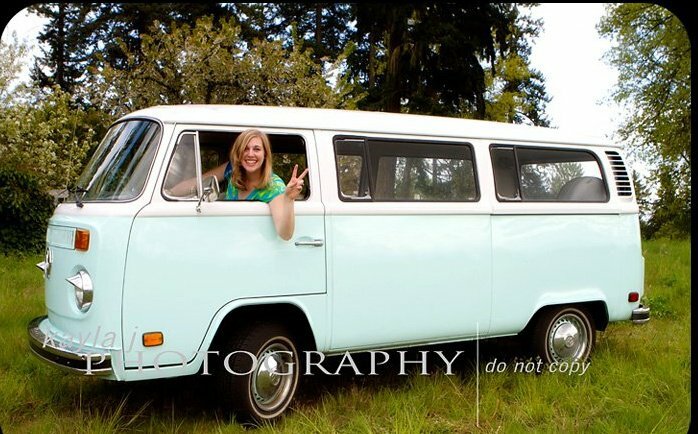 We used to own a 1973 VW Bus. I loved that thing. It smelled like gasoline, it had no power, no heat, but I loved that thing. It had a killer sound system and driving it made me feel happy. You just can’t be mad in a bus. Cold? Absolutely. But mad? Impossible. Me and Gus in happy days, taken by my wonderful friend Kayla J. Check her out! When we started seriously pursuing moving to Nicaragua, we knew that the bus wouldn’t be a part of our future there. We sold the bus in anticipation of buying a car that would be better suited for Nicaragua. After talking to the orphanage about their needs, we decided that a car that would just fit our family wouldn’t be the best. What really is needed at the orphanage is a vehicle that can fit between 8 and 15 people. The orphanage already has a school bus for functions for all of the children, as well as a truck that seats 5 people. But if a group is going out, it gets difficult. The truck can be used by putting people in the back, but if it’s raining or really dusty (and it’s often one or the other!) it gets tricky. So after hearing the need, we decided to bring a Ford Excursion. It seats eight people officially, but I’m sure we can get many, many more people in that car. We hope that this vehicle will be a blessing to the orphanage, and are excited to see how God will use it down there. We’ve already had the chance to haul people to various locations (a family to swimming lessons, groups of teens to a conference, etc) and it’s really fun to use this vehicle to serve people! Nearly half of the one time costs we’re raising go to pay off the Excursion. We truly believe that this truck will be a blessing to our ministry and will bring glory to God, otherwise we wouldn’t have bought it. So thank you for partnering with us, and when you pray for us, please pray for our truck that it would last a loooong time and be used to glorify God in Nicaragua! (Truck specifics: 2002 Ford Excursion, Diesel, 8 seater. I’ll have Mark fill in more details later because he knows more about cars than I do). This entry was posted in Finances, Moving, Truck. Bookmark the permalink.